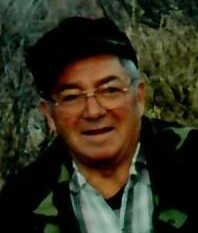 Obituary for Mario Giovanni FANTUZ | Cherished Memories Funeral Services Ltd. It is with sorrow and respect that we announce the passing of 97-year-old Mario Giovanni Fantuz who was born December 31, 1921 to Angelo & Margherita Fantuz in Pordenone, Northern Italy. He went to school in Pordenone, attending college where he learned carpentry at a very young age. Once in Canada he went to school in Cranbrook where he learned to speak English. Mario came with his mother & brother to Canada in 1939, joining his father, arriving at New York by ship, then making the long journey across the continent to Cranbrook. He worked in the bush for 3 years as a faller, worked in Lethbridge for Bennett & White Sash & Door, then made his way to Fernie where he began working for Crowsnest Pass Coal Company as a carpenter until his retirement in 1983. His life changed when he met Helen Latos. They married on September 24, 1945, then he built their home in the Annex in Fernie. Mario worked long hours, often at several jobs, to provide for his growing family as Walter, Margaret & Linda arrived. He was a member of the Italian Club, volunteered for and was a member of the Legion and volunteered for the Elk’s Club. Mario leaves behind his wife & life partner, Helen, son Walter (Joanna), daughter Margaret (Bob) and son-in-law Bruce; 9 grandchildren: David (Desi), Kelly (Tom), Brian, Christine, Kori, Alana (Joseph), Robert (Rebekah), Kim (Rob), and Michael and 11 great grandchildren: Kevin, Shaun, Abbi, Makayla, Morocco, Samoa, Caspian, Lucas, Max, Nixon and Maddox. Also, family in Italy, his sisters-in-law Sharon Fantuz, Joan Fantuz and Catherine Latos, and several nieces and nephews. Mario was predeceased by his daughter Linda Catherine, his parents Angelo & Margherita, a sister Augusta and two brothers, Gastone and Enzo; his in-laws Catherine & Ludy, Stanley and Kathleen Latos, and his great grandsons Zeke Fantuz and Cairo Coey. Prayers were held at the Holy Family Catholic Church on Sunday, January 27th, 2019, with a funeral mass on Monday, January 28th, 2019. Cremation; with inurnment to follow at a later date. In lieu of flowers, please direct donations to the Rocky Mountain Village Auxiliary &/or Recreation Dept. at 55 Cokato Road, Fernie, BC V0B 1M4. The family wishes to thank everyone for their support, especially Margaret & Bob, the staff at RMV, the Doctors and nurses at Elk Valley Hospital, Father David John, and Cherished Memories Funeral Services, family and friends.